Solo travelling means a tour in which a tourist is going alone without any travelling partners with them. This type of travelling is done by officials who move one place to another for their official or business purposes. Now days mostly businessman are trying to increase their business in many of its places and for that they have to travel different places for attending meetings, conferences and many other official works. 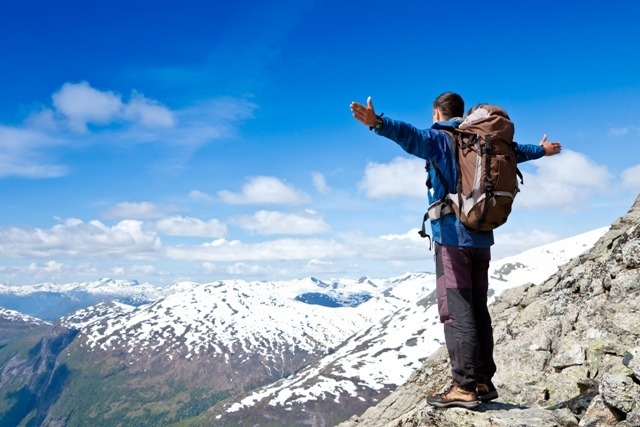 For this the amount of solo travel is increasing day by day. In today’s world everyone tries to expand their empire that is the business which they are having. So they have to travel different parts of country or beyond the countries for extending their business. For these purposes they mostly go individual in their trips. They hardly take one of their assistants with them. They arrange some travel agencies for their trip and go for it without doing any arrangements by their own. In today’s generation travelling has become a new trend. People of this generation like to travel different place and try to explore different things. Now days mostly college student and newly joint officials travel different places and want to have some break from their general life. Some people like photography, they also go for solo travels to different places to capture the desired pictures in their camera. Many wildlife photographer travel into the forest so that they can capture the best moment of the nature. So basically now solo travelling is becoming a lifestyle trend which, a huge part of the globe is following. As in this type of trip tourist are moving out alone, they should be more cautious about them. So some most important things must be with the travellers. Some of the solo travellers also take their pets with them for company. The persons who are going for the business trips should always go for the corporate travel agencies as because these agencies take responsibilities of everything and the traveller don’t need to think of the trip. Mostly the solo travellers who are travelling because of their fantasy, they don’t like to go for any travel agencies, because in that they don’t get the freedom they want. So they always plan their own trip and arrange everything, for them, they should take all their needy things with them. Mainly the medicines, adequate amount of dress, necessary food etc should be taken by them, which will helpful in every problematic condition. Bachelor life is one of the best times in everybody’s life. People try to enjoy the fullest in this period, and want to experience all the possible stuffs a person wants to do. Travelling comes under one of the common hobby in most of the people, as exploring different places have a different feeling. Now, many of the persons travel in groups, but the person who is travelling in alone or we can say is going in a solo travelling, experiences a better time. If a person goes to a place for any reason then he/ she should not come back without doing that, for this type of case if travellers are travelling in a group they have to face different problems and go according to everybody’s wish, due to this you can lack of something which you want to have. Now in such case if you are travelling alone then you will be free to do whatever you want to do. As we see earlier many traveller have different hobbies such as photography, trekking, and many more things which they can do in a peaceful manner if they are going in a solo trip. In business trips the business persons can’t take their families with them, as because they are going for some works. Now in modern era solo trip has become a lifestyle trend which is followed by a lot population of the world.